Q: Should summer loan terms be used when calculating aggregates? A: Yes! Summer term(s) do count toward aggregate and annual loan limits. 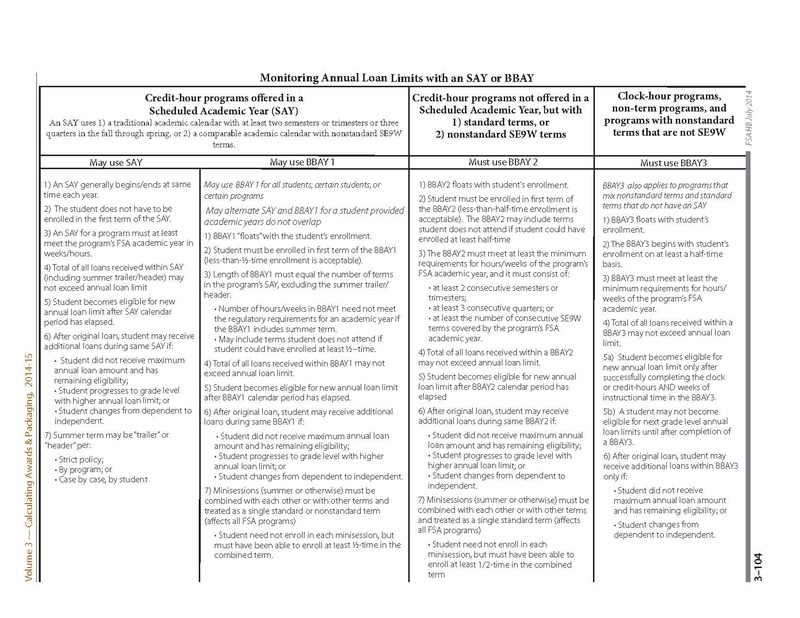 Regardless if you use standard academic year (SAY) or borrower based academic year (BBAY) for determining the award cycle, the summer term has to be designated as leading or trailing and is counted towards annual loan limits and aggregate loan limits. Summer cannot be counted as it’s own academic year. More information is available in the FSA Handbook, Volume 3, Chapter 5.